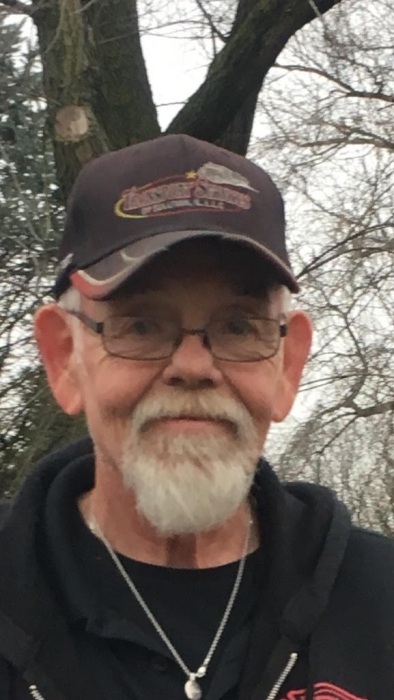 James R. Gillmore, age 67, of Edgewood, Illinois passed away at 5:35 p.m. on Wednesday, June 27, 2018 at his daughter’s house, surrounded by family, in Pocahontas, Illinois. Funeral service will be at 2:00 p.m. Sunday, July 1, 2018 at Pagel Funeral Homes in Edgewood, Illinois with visitation from 10 a.m. to 2 p.m. Pastor Dan Laack will be officiating. Burial will be at Edgewood Cemetery in Edgewood, Illinois. Memorials may go to St. Jude Children’s Research Hospital, Edgewood Cemetery, Edgewood Fire Department or the donor’s choice. Jim was born on May 16, 1951 in Effingham, Illinois, the son of Harold “Deke” and Mary (Redman) Gillmore. He married Earnest L. Golden on November 14, 1987 at the Christian Church in Edgewood, Illinois. He was a member of the Fire & Iron Station 64 Motorcycle Club. He was a volunteer firefighter and very proud of it. He worked for Rush Truck Sales in Effingham, Illinois for 46 years. He enjoyed riding motorcycles with his wife, woodworking and spending time with his family and friends. He is survived by his son, Ricky Flowers (wife Wendy) of Sandwich, Illinois; 6 daughters, Cindy Newton (husband Paul) of Sandwich, Illinois, Johnnie McNece (husband Howard) of Pocahontas, Illinois, Edith Garrett (husband Kevin) of Edgewood, Illinois, Sussie Torres (husband Rafael) of Greenville, Illinois, Maria Miller (husband Nathan) of Vandalia, Illinois and Jama Parker (husband Tom) of Effingham, Illinois; brother, John Gillmore (wife Bette) of Edgewood, Illinois; sisters, Ellen Clark of northern Illinois; 27 grandchildren and 32 great-grandchildren.